Vietnam is fast becoming one of the most scenic and fascinating golf destinations in Asia . Travel with Indochine Tourist, you discover the diversity of Vietnam in terms of culture, landscape and history, while devoting time to your favorite hobby, golf. 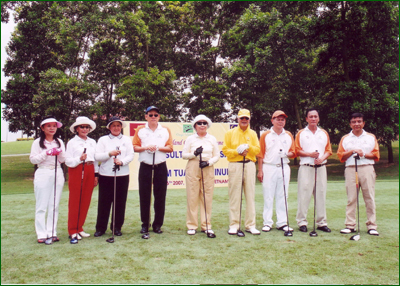 Vietnam was one of the first countries in Asia to create high quality golf courses, including the last Emperors' private 9 hole course in Dalat in the 1920s. 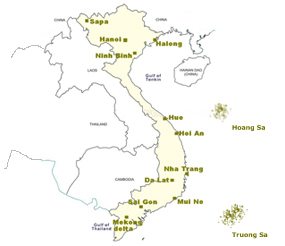 There are currently 14 golf courses in Vietnam , with more to come in Centre Vietnam. Golfers can travel across the country to play golf. We have tour packages ranging from 20 days golf tours to day golf from major cities. We introduce daily golf packages to our local golf courses in HCMC and in Hanoi. All in one packages include green and caddy fees, plus car and driver. You choose the course and day, we do the rest!. Indochine Tourist have selected some short trips and excursions (2 to 8 days) for those limited in time or to add on your tour, departure from main cities of Laos(Viengtiane, LuongPrabang). This trip is suitable for whom have already booked a travel with us and want to lengthen it or for whom want a independent travel. Our Discovery tours cover all the classical aspects of Cambodia. You will discover the main attractions and places of interest, combined with international standard accommodations and transports. We have selected some programs covering all highlights of the country. The more time you have, the deeper the discovery will be.